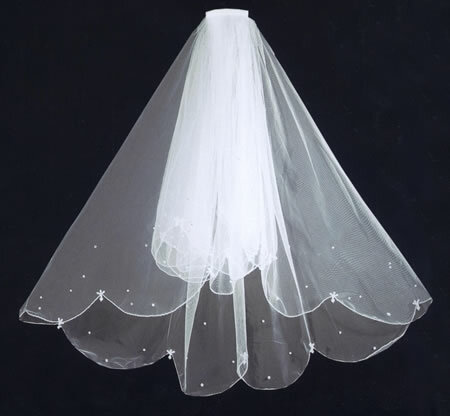 Double tier veil great for brides, flowergirls, and holy communion. Short style veil. Comb in style veil. Veil is accented with pearls.